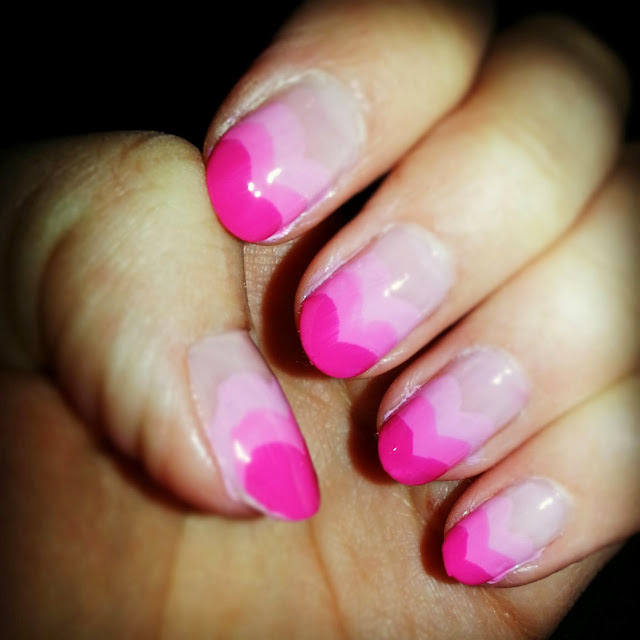 A few days ago gh0stparties did a lovely heart nail art look which I thought looked gorgeous for Valentine's Day. It inspired me to do a pink ombre effect version. Base coat - Essie "Not Just a Pretty Face"
Middle heart - Barry M 279 "Bright Pink"